With rise in smartphone users as well as web users in India, often this question now comes to mind of Indians whether it is legal to play online poker in India. There are so many online sites that offer casino games as well as poker games to play online. 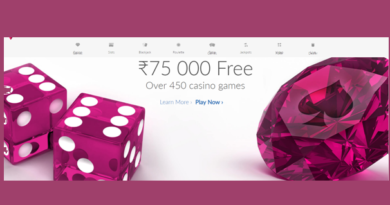 Though international online sites or casino sites based abroad now have started accepting Indian players, even local sites like Khelo365 and Adda 52 offer number of casino games where you get a chance to hit the jackpot. These websites assure you that these online games platform are legal and safe to play but you should know what your country’s law says about playing online poker in India. According to a KPMG report, gaming industry in India is estimated at around $60 billion per year, and the figure is expected to rise with the advent of online gaming. Under the Constitution, betting and gambling are state subjects under Entry 34 on List II of the Seventh Schedule. 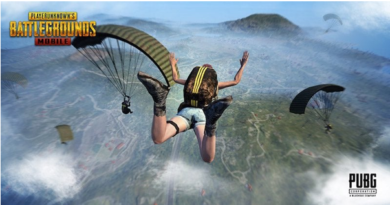 As a result, there are vast differences in the regulation of gaming in India. But, there still exists a central law prohibiting gaming — The Public Gambling Act, 1867. This colonial relic had held the fort until the introduction of the Constitution, after which several states adopted similar provisions while others enacted their own. Most state laws and the central statute exclude ‘games of skill’ from being categorised as acts of ‘gambling’. Yet a ‘game of skill’ had not been defined under these laws. This caused much confusion till the Supreme Court in State of Andhra Pradesh versus K. Satyanarayana (1968) classified Rummy as a skill-based game. The Public Gambling Act of 1867, which applies to all of India, makes it a crime to either run a “public gaming house” or to even be present at one, and provides criminal penalties for both”. The fact that this law is still in effect after almost 150 years tells us that this isn’t the most progressive country when it comes to gambling and that it is certainly true. Till date no other game has explicitly received such a judicial nod. Still the judgment has allowed many stakeholders to make a strong argument for the legitimacy of other games. However, a Madras High Court judgment stirred the pot once again by concluding that a ‘game of skill’, if organised for profit, would still amount to ‘gambling’. As the appeal from the verdict in the Supreme Court was withdrawn before it could be finally decided, the legality of making a profit on such activities remains inconclusive. Since gambling is decided primarily at the state level though, this may not be as decisive as some think it would, as all this would do is strike down a federal law applying to poker, but states still could come up with their own laws, as they do anyway. Still though, the impact of a Supreme Court decision of this magnitude in favor of poker would certainly be persuasive to some degree at least. In a real sense, the Public Gaming Law of India really is only a law on paper, at least since the Indian Constitution gave individual states the right to decide these matters on their own, but the fact that the parties are fighting this out in the courts does show that this does matter. Legal gambling in India is limited to playing the lottery, in most states, as once again individual states do have the power to make their own legislation. To put it simply, the general laws of India concerning gambling apply unless a state specifically sanctions it. So most have sanctioned lotteries, which would otherwise certainly qualify as a game of chance, but they can still be permitted if the law provides for it. 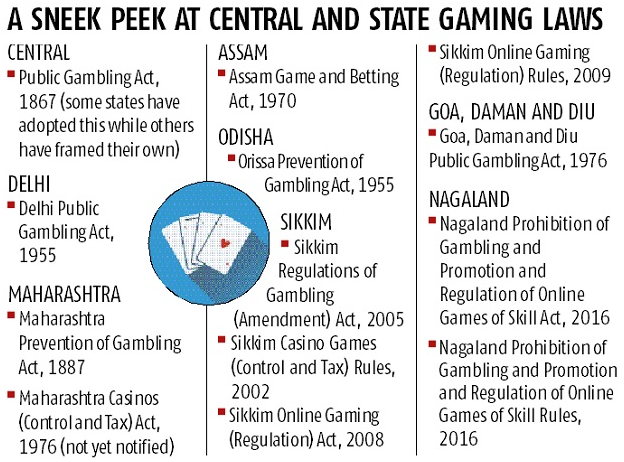 Two Indian states, Goa and Sikkim, have other forms of gambling and these states including Nagaland have enacted specialized online gaming laws in an attempt to legitimise the industry. In fact, an online gaming licensee in Nagaland can use this permission to access a pan-Indian market, wherever ‘games of skill’ are permitted. However, the Information Technology Act, 2000, prohibits internet service providers from hosting gambling websites. The other Indian state with more expansive gambling, Sikkim, even has licensed online gambling and online poker. 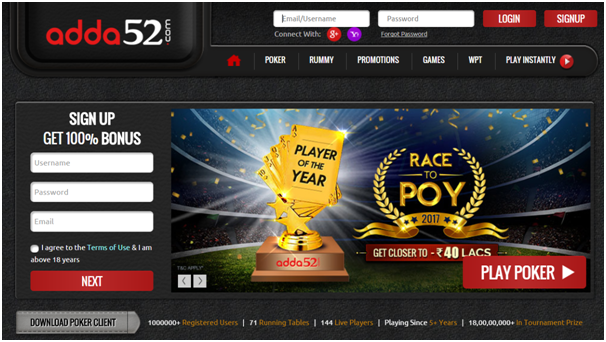 It is up and running as well, and features several licensed poker sites, the largest of which is adda52.com, which even has a team of sponsored Indian poker pros. Unlike Goa, Sikkim’s land based casinos do offer table games, and there are two land based casinos in Sikkim that offer live poker, Casino Sikkim and Casino Mahjong. Another Indian state, Daman, is also offering more extensive gambling, and the intention seems to be to want to go even bigger than their sister states. Aside from the licensed online poker in Sikkim, which is limited to residents of Sikkim, or at least is supposed to be, India does not have any licensed or approved online poker rooms. Residents in all other states are not supposed to be playing online poker, but of course they do anyway, just like people in all parts of the world do regardless of whether their governments approve in their doing so or not. 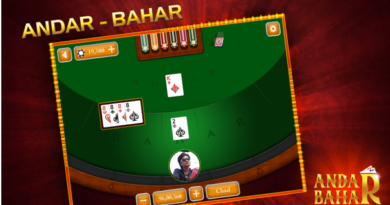 Elsewhere, online gambling in India is said to be a very complicated subject, to the extent that there is quite a bit of debate as well as some uncertainty as to whether gambling online, and playing poker online, is legal or not. There is a central law that applies here, the Information Technology Act of 2000, in addition to the aforementioned Public Gaming Act of 1867, and of course the laws of individual states as said above. Different types of games are viewed differently here as well, as casino games are seen as different from card games such as poker, for instance. It is felt that it is legal for online poker players to play on legal poker sites in India, but the fact here is that it isn’t all that clear what would constitute a legal online poker site in India, and this remains a grey area as far as the law is concerned. 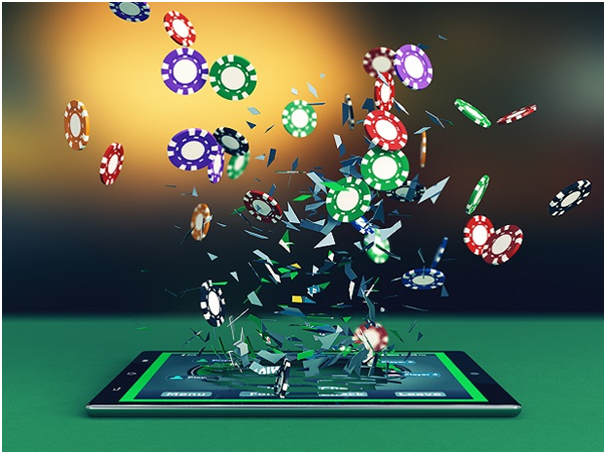 In some circumstances, online gambling sites may be blocked, although as always, this doesn’t do much to stop people from playing where they want as they simply find ways around this, though downloading the software by connecting through a VPN. This is what is going on right now, as online poker players in India are just playing poker and generally don’t worry about whether or not it may be illegal or not, while the legal system works out whether or not it is legal for them to do so or not, because no one is worried about this really. This is because the Public gambling act of 1867 does not talk of online gambling, so Indian players are even betting at international poker sites like Bet 365 and Dafabet which are hosted in international jurisdictions. These websites allow deposit in Indian currencies. As these websites have their offices in foreign countries like the UK, they are not governed by Indian laws relating to online gambling. However, there is still a risk of illegal money transaction. The Payment and Settlement Act, 2007 permits Reserve Bank of India to regulate all online and electronic mode of transaction. They have the authority to make rules and regulations regarding all the payment procedure. Along with the above-stated act, Foreign Exchange Management Act (FEMA) 1999 regulates transactions. 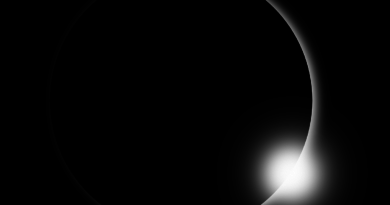 However, it regulates international transactions. Thus, if an individual is trying to make an international transaction, other than in Indian currency, it needs to comply with FEMA regulations. 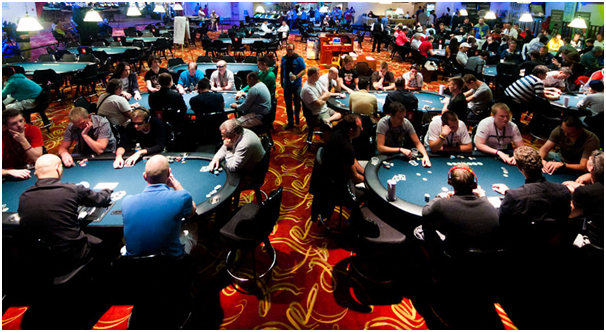 Thus, online gambling even though is not expressly prohibited is regulated by various authorities. One can try to avoid these regulations however it would be a risky choice until the law is clearly defined.